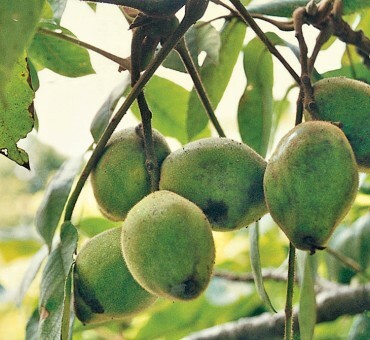 The white walnut is known for its attractive light colored wood and delicious buttery flavored nuts. Rarely will you find butternuts in any quantity. 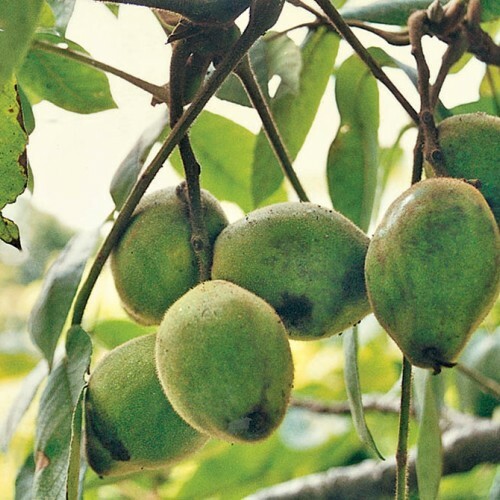 Selected from some of the best nut producers of wild and cultivated trees in Michigan. Our selections have good foliage retention and appear resistant to some of the common diseases of butternut. Our seed sources include: Kinneyglen-Highly productive tree & Eager-Long lived 80-year-old tree from Central Michigan and Craxezy.